The Samsung Wireless Speaker Scoop Design is a Bluetooth speaker with a compact, stylish design. Its strap makes carrying it handy. It is splash resistant. Also, thanks to its built-in microphone, you can field voice calls without having to take out your smartphone. Compact at just 3.1” x 1.5”, you can hold the Scoop design easily in one hand. Take it wherever you need to go � indoors or outside. Thanks to its practical strap, you can hang it almost anywhere and enjoy listening to your most-treasured tracks. Thanks to this device's handy splash-resistant protection, enjoy peace of mind when using your device during a workout � sweat and water splashes pose no problem.. 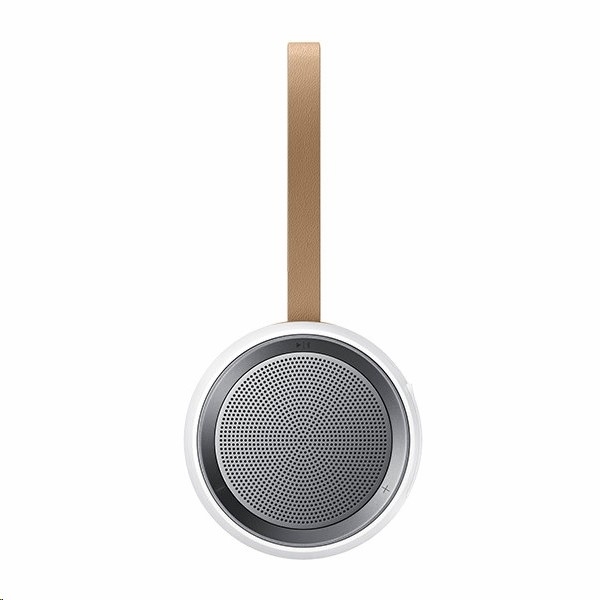 The Scoop design might be small, but its high-performance speaker performs in the audio department � even in outdoor settings. 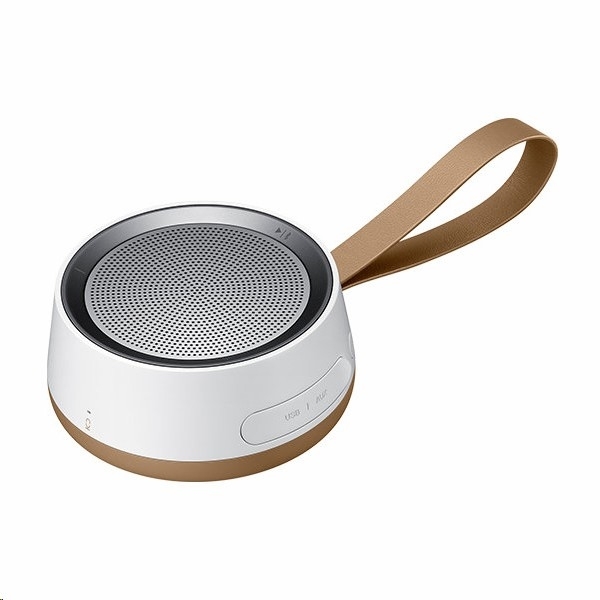 Its built-in microphone means you can also field voice calls on the Scoop design without having to reach for your smartphone. Make the most of NR (Noise Reduction) and EC (Echo Cancellation) functionality for noise- and echo-free calls. The Scoop Design perfectly fits in with all settings thanks to its stylish metal grill and compact, round design. 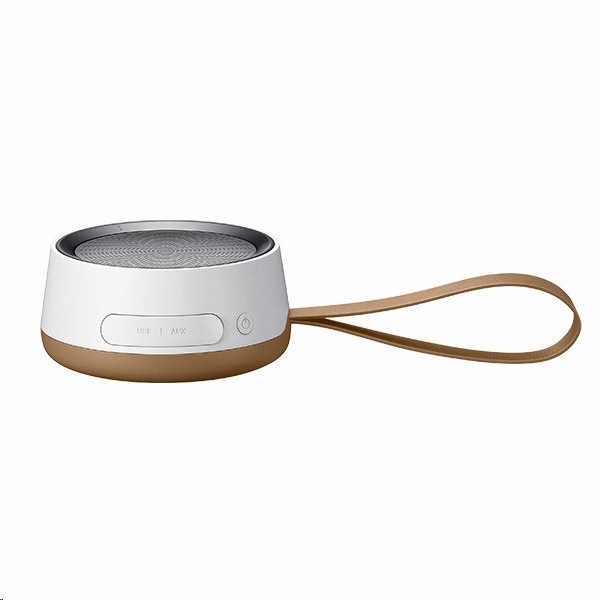 With volume and play/pause buttons on the top of the speaker, enjoy simple device control with easy-to-use buttons. You can listen to music by connecting via Bluetooth or you can even connect with a non-Bluetooth enabled device using its 3.5mm AUX port with a cable connection.